Comments Off on New Year … New Divorce Challenges. Are You Protecting Your Children? New Year … New Divorce Challenges. Are You Protecting Your Children? Statistics bear it out. Every January the number of couples filing for divorce rises dramatically. And while the divorce rate has gone down the past few years, because of the economy, January is still the month with the highest divorce rate. When you think about it, the reason comes as no surprise. Many couples considering splitting decide to wait until after the holidays to break the news to their children. Others wait to take advantage of year-end job bonuses, if they come, so they’ll have the extra funds to cover attorney, moving and other related expenses. Regardless, it’s not the why that should be concerning us at this time – it’s the how. 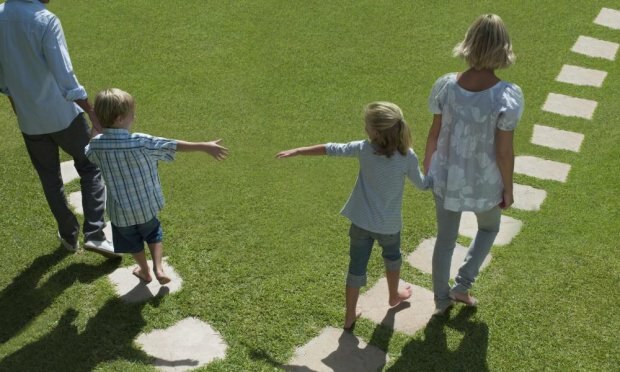 How are divorcing parents going to approach their separation or divorce – and how will it affect their innocent children? I, too, planned my separation at this time of year more than a decade ago. My son was eleven at the time. We told him a couple of days after Christmas but didn’t make the physical split until February 1st. These winter separations can be especially difficult for children, coming as it does in the middle of the school year. Parents need to bend over backwards to minimize the changes and transitions in their child’s life so as to keep school-related schedules, after-school activities, playtime with friends and other routines as much the same as possible. Choosing to co-parent, my former husband and I each maintained a residence, intentionally located within a mile or two of each other. Our son got off the school bus at one house or the other, with little disruption of his normal routine. At the end of the school year one of his teachers came up to me saying she just learned that my husband and I split up in February. She said she was quite surprised because my son didn’t skip a beat in school. He still maintained his excellent grades. You can’t imagine how gratifying that was for me. My advice is simple, but not always easy. Put yourself in your child’s place and feel the insecurity, fear, anxiety, guilt and shame that your child may be experiencing. Make decisions based on how he or she is going to look back and remember these next several years. Here are some valuable questions you can ask yourself before as well as following your divorce to keep you both on track regarding your child’s wellbeing. The desire to hurt your ex at the expense of also hurting your children must be recognized before you take action. Destructive behaviors and decisions are often made without considering the effects on the children who are inevitably scarred from the inside out. And they need not take place. It’s not divorce per se that harms children, I firmly believe. It’s the parent’s approach to divorce that makes all the difference in the world. How are you approaching these challenges? 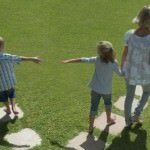 Supported by my Child-Centered Divorce network, coaching, ezine, blog and other resources, my mission is clear: to encourage parents in consciously choosing to create a collaborative, harmonious Child-Centered Divorce which will benefit the entire family for months, years and decades to come. My son is proof that it can work successfully. I sincerely wish a happy outcome for your family, as well. Rosalind Sedacca, Founder of the Child-Centered Divorce Network, is the author of How Do I Tell the Kids About the Divorce? A Create-a-Storybook Guide to Preparing Your Children – with Love! To learn more about the ebook, visit //www.howdoitellthekids.com. For her free ebook on Post-Divorce Parenting, coaching services and other valuable resources on divorce and parenting issues, visit: www.childcentereddivorce.com. April 17 2019, Comments Off on New Year … New Divorce Challenges. Are You Protecting Your Children? April 5 2019, Comments Off on New Year … New Divorce Challenges. Are You Protecting Your Children? April 3 2019, Comments Off on New Year … New Divorce Challenges. Are You Protecting Your Children? April 2 2019, Comments Off on New Year … New Divorce Challenges. Are You Protecting Your Children?